Receiving lyrics with a melody line is exhilarating. Allowing a song feels open and expansive. I am thrilled to gift you and your loved ones with Christmas Tonight, my first YouTube music video. Get the music here. The holidays stir up many emotions. Whether the holidays invoke joy, obligation or memories of loss; big feelings add stress to the season. You are not alone! We all need help sometimes. Expressing emotions with a Creative Journal is the ultimate gift to yourself. Schedule a complimentary coaching session by phone or scroll down to buy my Workshop-In-A-Book My Body, My Car: How to Coach Yourself Through Life's Little Accidents. ‘Tis the season to celebrate you! So come on in and get ready for clarity. 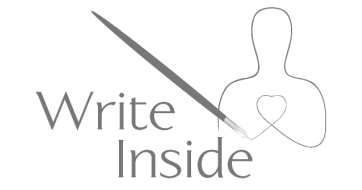 The answers you seek are Write Inside! - Dorothy Segovia, certified Visioning(R) Coach. Want to know how I allow my creative flow? Click Here to read my blog about living in the beautiful seaside town of Santa Barbara. Creative PLAY = a joyful life!!!! "Your methodical guidance was perfect"
"The whole process the movement was wonderful to free the song, to allow the creative energy to flow: the non-dominant hand music/drawing writing was all so revealing."